We are looking to recruit friendly, motivated and compassionate individuals to become part of our established Women's Service Assistants Team on our Delivery Suite. 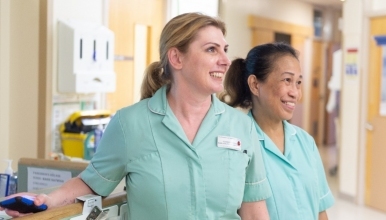 Working alongside the Midwifery team you would be involved in providing direct care for Women before, during and after birth as well as the operational running of the ward ensuring we continue to achieve high standards of cleanliness and patient care. This post with be based on the Delivery Suite, but we may require you to work in other areas of Maternity as the service needs. Care provision is 24 hours, 7 days a week and you will be required to work shifts including nights, weekends and bank holidays. Please note that if you do not have the essential qualification as listed on the person specification, if successful, you would be required to complete a literacy and numeracy test to ensure you are suitable for the Women Services Assistant role.